BOOOOM! 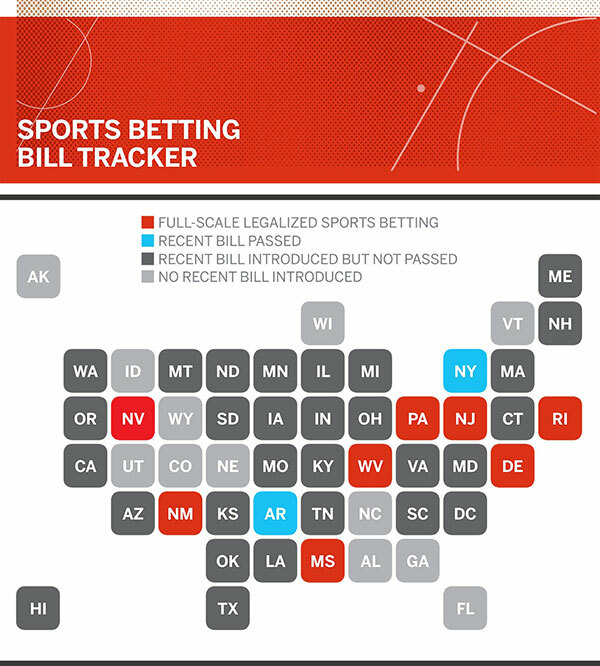 United States people should be excited as New Jersey won it's supreme court case, meaning each State is now going to have their own decision to allow sports betting. New Jersey, West Virginia, Mississippi and Pennsylvania are expected to jump in first. Who will follow? What will this mean to offshore sportsbooks? What will the "juice" be for US operators? What companies will jump in first? Likely DraftKings is the first to offers sports betting in the US... They have been preparing for this day for quite some time. Excited to see how it all unfolds. US Sports Betting is coming! yeah man, very exciting stuff. It will be interesting to see how the landscape looks in a couple of years time when the big guys start moving in (bet365, etc). I also noticed that big networks such as nbc and espn are starting to show more and more odds information into their broadcast.